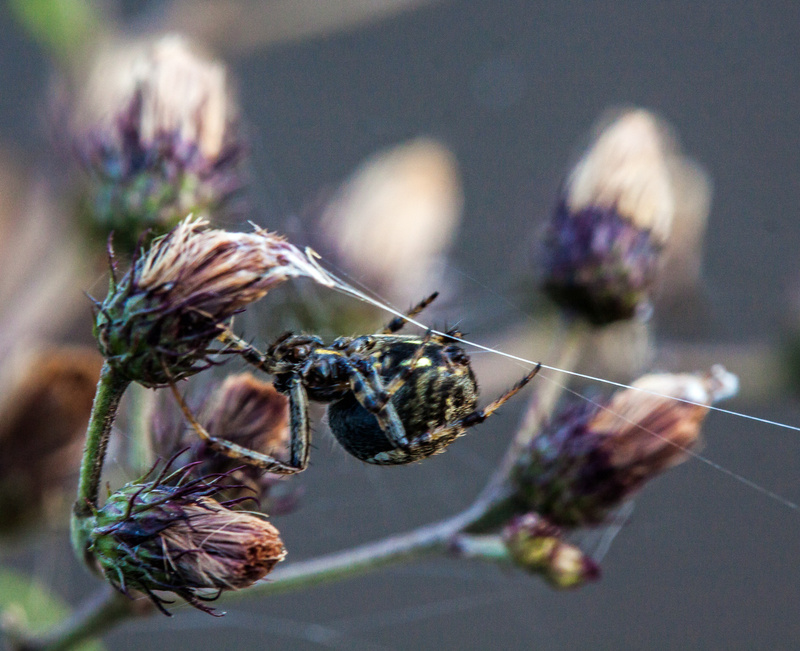 When this Spotted Orbweaver spider (Neoscona crucifera) spotted me last week at Jackson Miles Abbott Wetland Refuge, it scurried along the silken threads of its web to the relative safety of the plant to which one end of the web was attached. There is something that really appeals to me about this image. 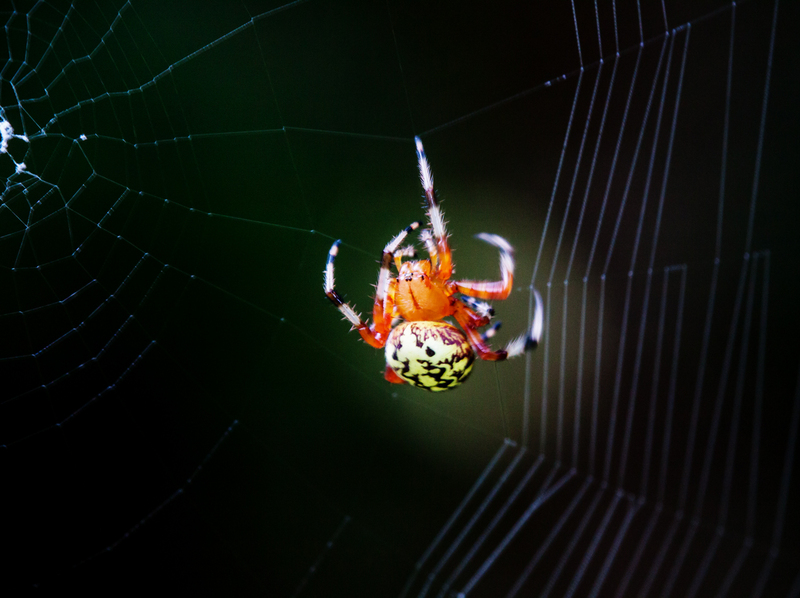 Maybe it’s the way that the colors of the spider match those of the plant or how the shapes of the stems are similar to those of the spider’s legs. Perhaps it is the contrast between the sharpness of a few elements in the image and the dreamy, almost ghost-like background. 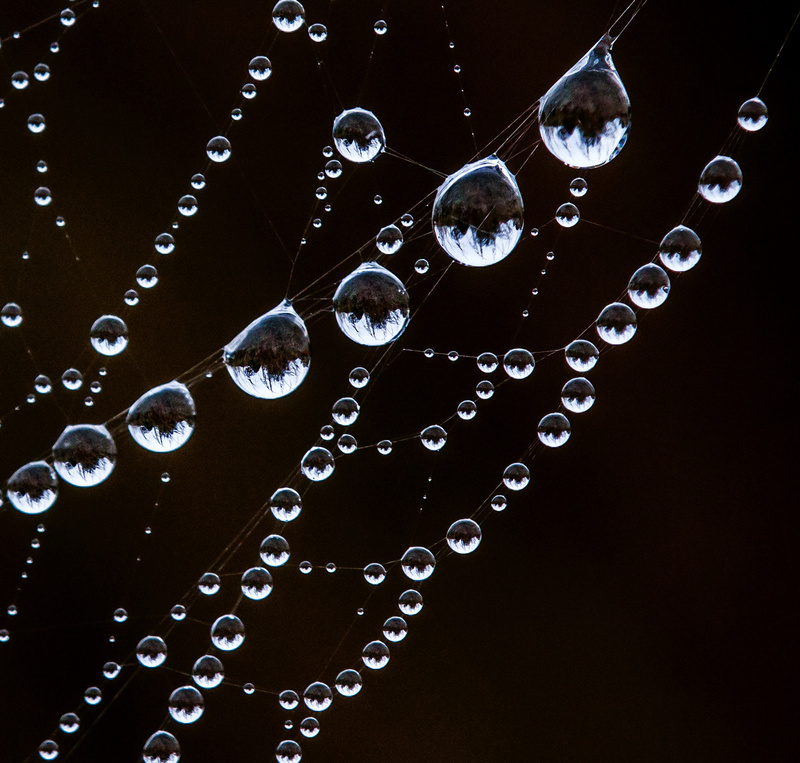 Most of the time I strive for super-realistic images and try to draw a viewer’s attention to the details. 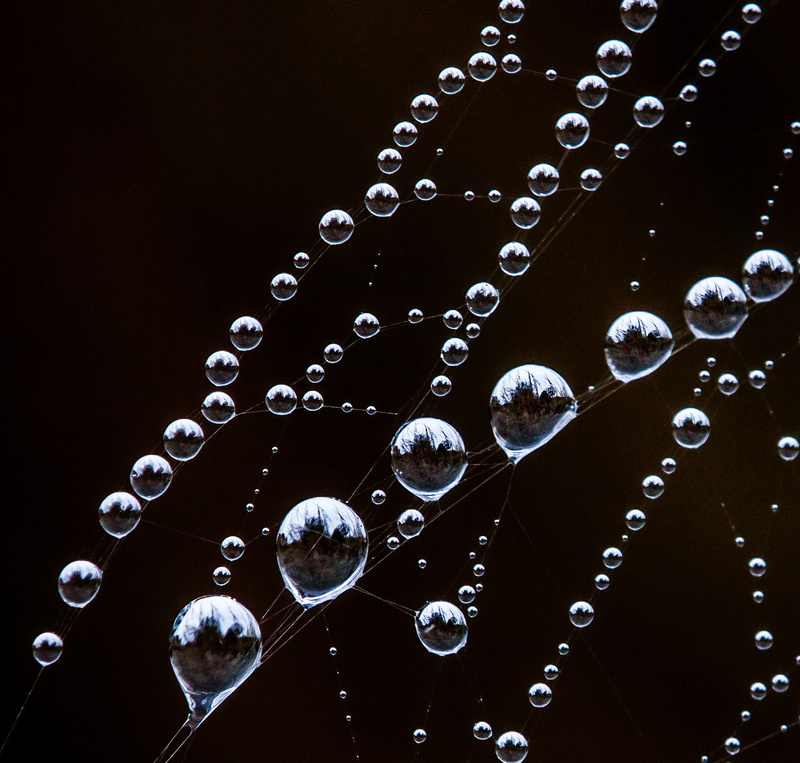 When I am in an artsy, creative mood, though, I am content to capture an impression of the subject, leaving the details to the imagination of others. 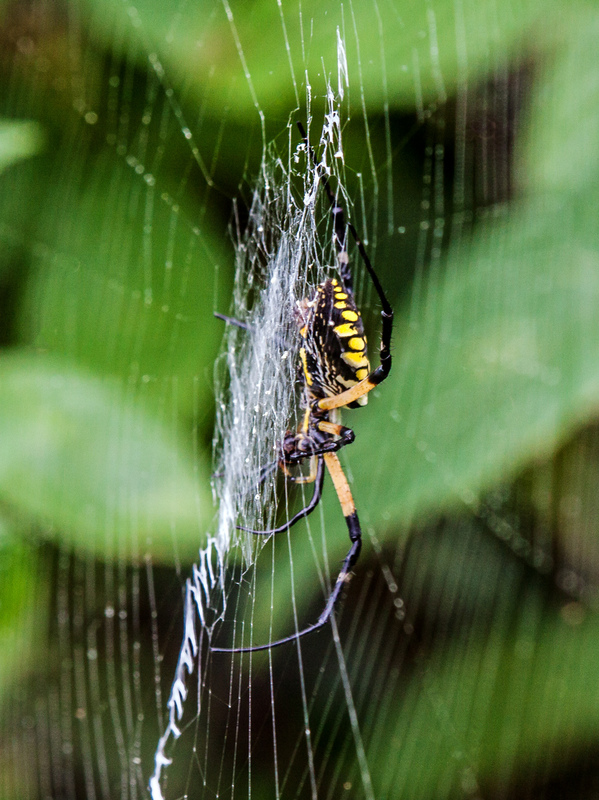 When you check out spider webs really carefully, you can often discover really cool-looking tiny spiders, like this Arrowhead Orb Weaver spider (Verrucosa arenata) that I spotted yesterday at Occoquan Bay National Wildlife Refuge. 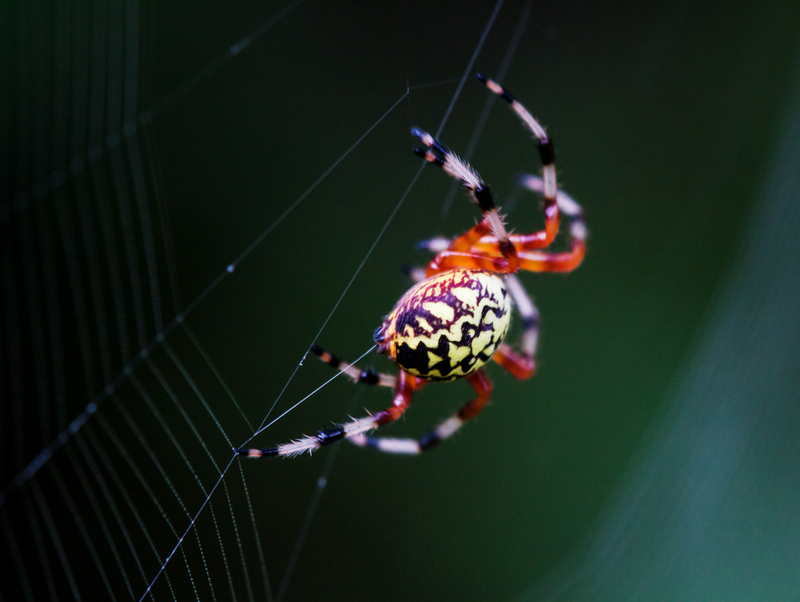 If you look really closely in between its uppermost legs, you can see some of its multiple eyes looking straight at you. 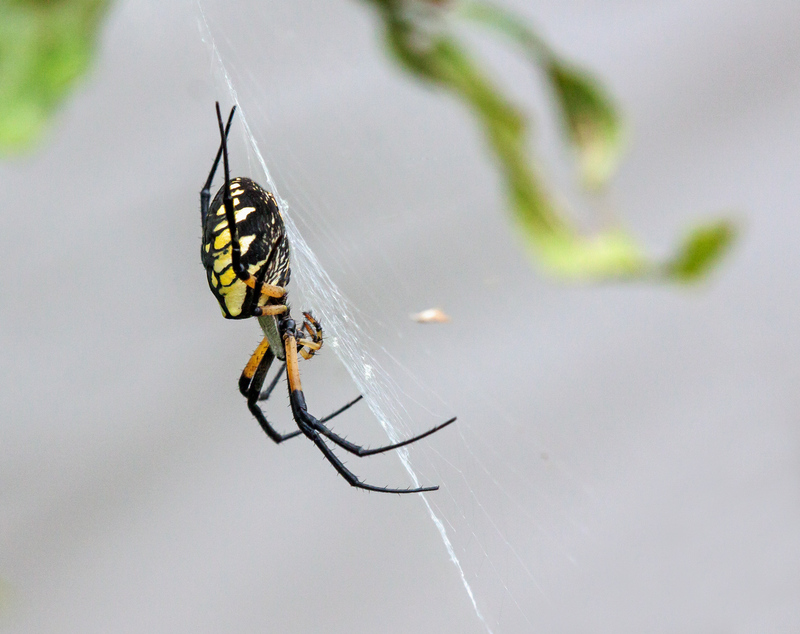 Information on BugGuide.net indicates that this spider is unusual because it rests in the web with its head up, not head down like most other Orb Weavers. It’s hard to get a sense of scale when you look at this image, but I’d estimate that this little spider was less than an inch in length (25 mm). 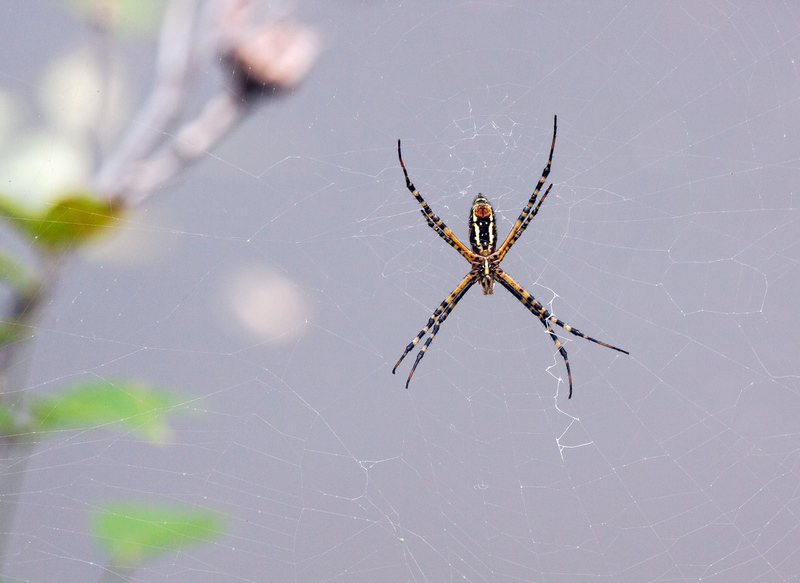 It was hanging in the air in its web at the edge of a trail when I first spotted it. 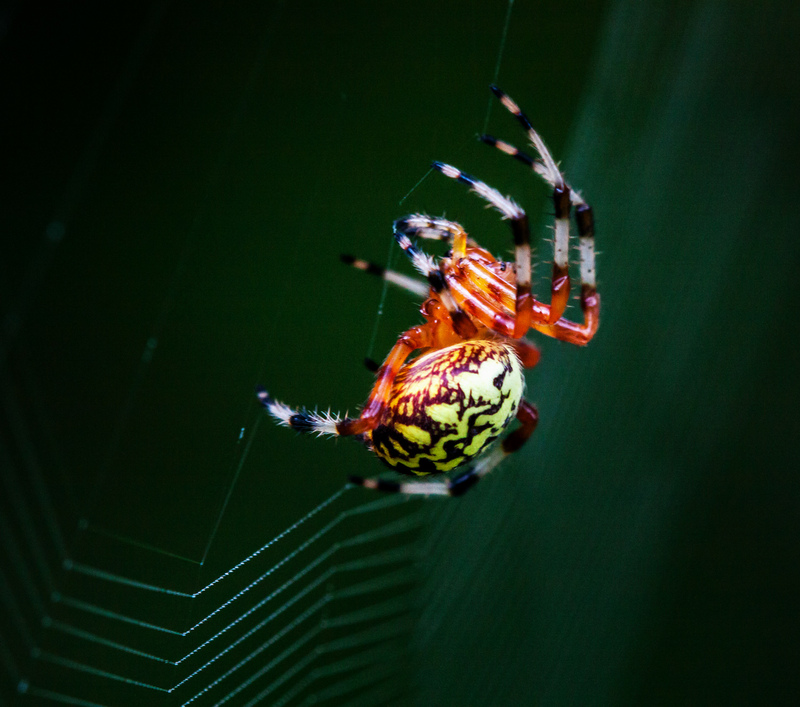 I was able to move in pretty close with my macro lens—unlike many other spiders, it did not scurry away to the edge of the web. Sharpness is always an issue when shooting at at close range, but my monopod helped to steady me enough to get a relatively sharp image. 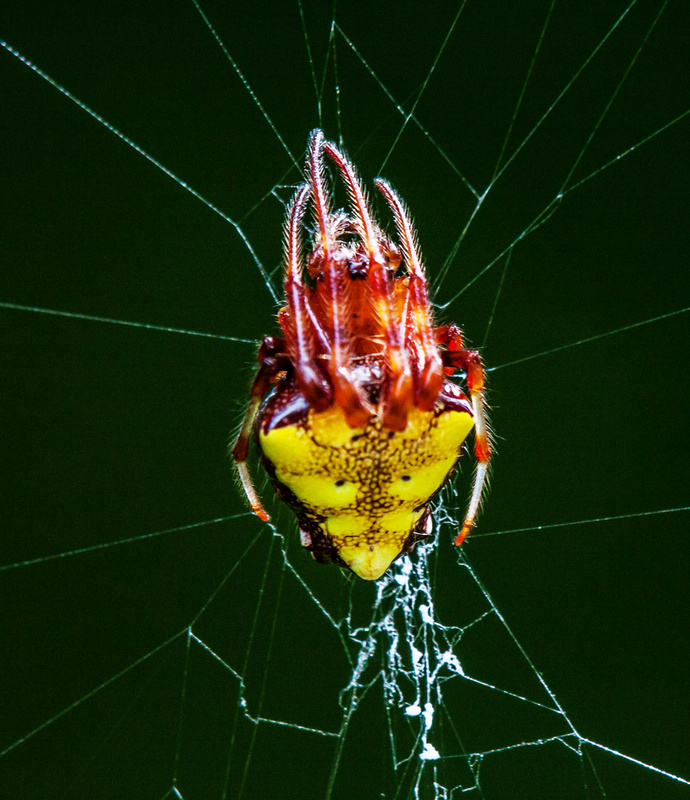 You may not like spiders, but you have to admit that this is a cool-looking spider. 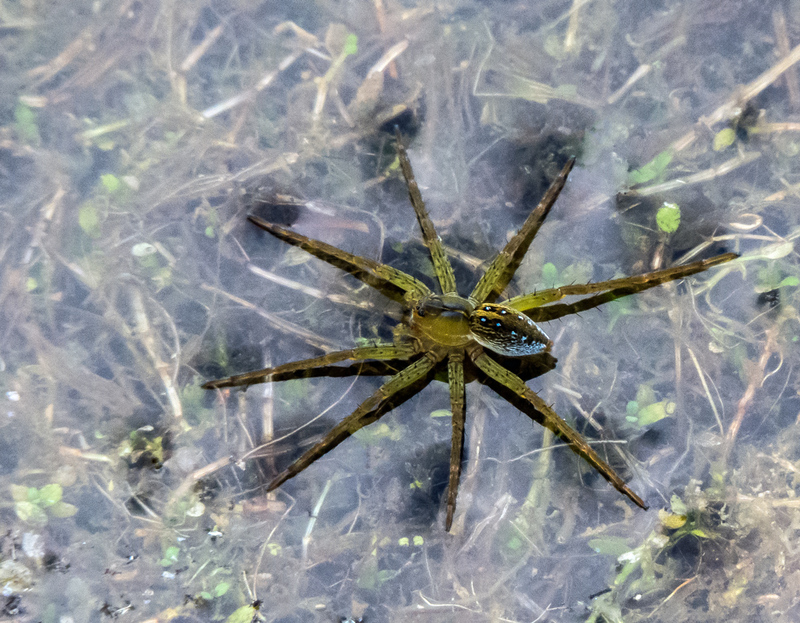 I spotted this cool-looking Six-spotted Fishing Spider (Dolomedes triton) in the shallow water of a pond this past Monday at Occoquan Bay National Wildlife Refuge. Sometimes the dragonfly is the predator and sometimes it is the prey—it appears to be primarily a matter of circumstances and timing. This male Common Whitetail dragonfly (Plathemis lydia) met his demise this past Friday at Occoquan Bay National Wildlife Refuge. 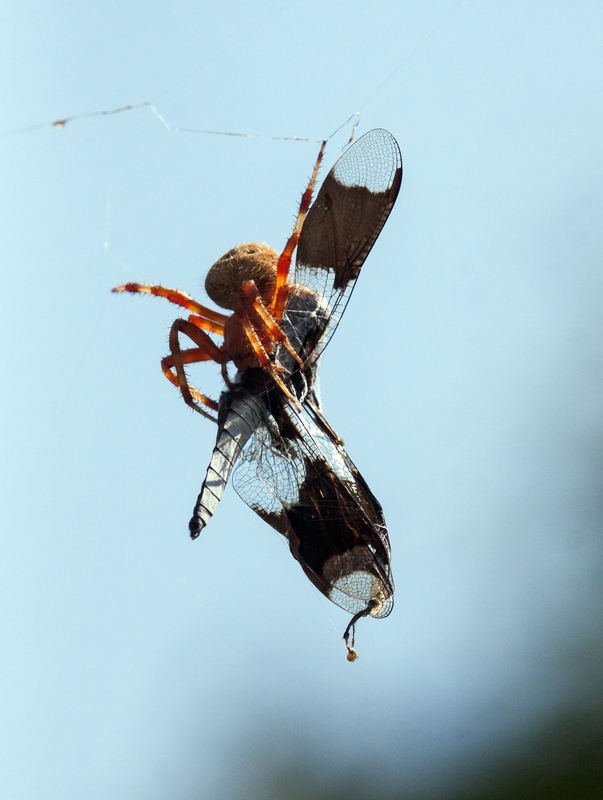 I am not sure how exactly the spider managed to snag the dragonfly, but I assume the dragonfly flew into the spider’s web, which was high in the air, spanning a gap between some tall trees. 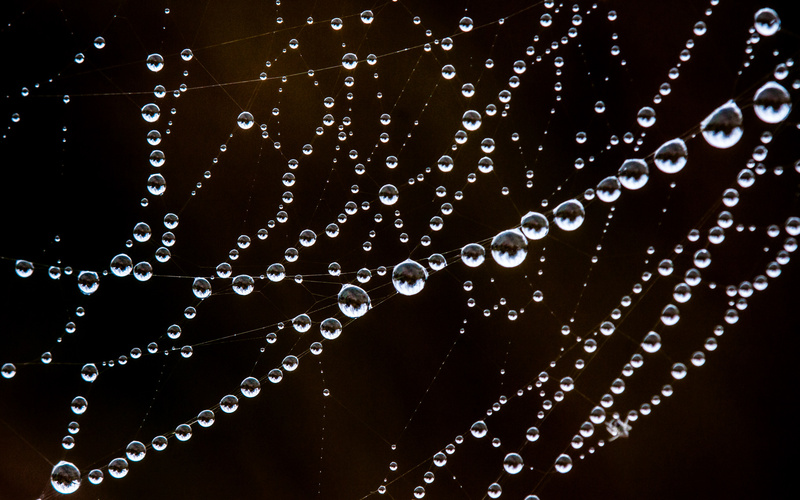 Interesting enough, I was only able to see a few strands of the web, so I wonder if this action took place at the extreme edge of the web.